The largest and longest lasting SUV on the Chevrolet lot is the 2018 Chevrolet Suburban. If you asked everyone who owns a Chevrolet Suburban from any of its eleven generations, 75% of them would tell you they plan on buying another the next time they need a new vehicle. Not only does this display an admirable amount of loyalty from the fan base, but it also shows an impressive amount of dependability in the performance and style that the Suburban family of vehicles has and always will offer. But, what breeds such dependable loyalty? The 2018 Chevrolet Suburban offers all the flexibility that people love in their SUVs and the efficiency of a truck. Looking for ample seating and cargo space? Nothing can compete with 2018 Suburban when it comes to space. This model is 224 inches long and three rows of seating that fits eight passengers of adult size with luxurious comfort. If you don’t need all those seats though, you can easily fold them up and gain a massive 121.7 ft³ of all the cargo space you could ever require. As for power, the 5.3L V8 engine delivers 355 horsepower in order to tow a praiseworthy 8,000 pounds. 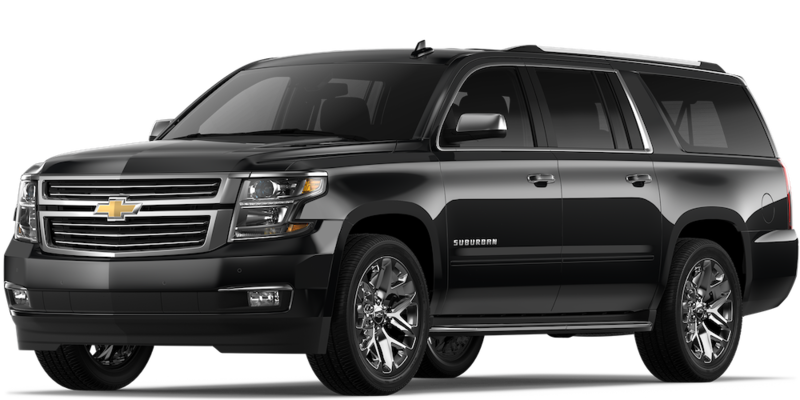 Overall, the 2018 Chevrolet Suburban is everything you could ever want in a large SUV and pushes itself way beyond those limits. The 2018 Chevrolet Suburban comes standard with an 8-inch color touchscreen infotainment system that will link directly with your Apple or Android smartphone. For those truly tech-savvy drivers, there is also 4G WiFi and up to 14 charging locations. On top of entertainment technology, there is also a selection of comfort features. The heated and ventilated leather seating options alone will have you feeling like a part of the royal family. The long list of entertainment and comfort features of the 2018 Chevrolet Suburban will keep every member of the family satisfied, peaceful, and entertained for the entire trip. The 2018 Chevrolet Suburban runs on a 5.3L EcoTec3 V8 engine with 355 hp and 383 lb-ft of torque. Sometimes only having one engine option is disappointing, but in the case of the 2018 Suburban, it really is quality over quantity. This V8 engine has enough power to tow a max of 8,300 pounds with trailer sway control, which is powerful enough to get a boat to the ocean or a trailer to the campsite for all your treasured family vacations. It also has impressive fuel management technology to keep you on your journey more efficiently than ever. Performance is not just about how hard a vehicle can ride, but how well it can manage that power. The Chevrolet Suburban also comes in either 2-wheel drive or, for a few thousand more, 4-wheel drives. Not to mention that the standard premium smooth ride suspension structure will separate those rough roads from your cozy cabin. The facts speak for themselves, the performance of the 2018 Chevrolet Suburban outshines any large SUV in its class in both power and control. If you want something you can depend on, then you have found the right vehicle. The 2018 Chevrolet Suburban may be a labeled family vehicle due to its space and convenience, but this beautiful beast is far from a one-trick pony. There are plenty of ways that the space and power of the 2018 Chevrolet Suburban can be utilized. Here are just a few examples. Gameday tailgating to show support for your favorite team will be easy to handle when you can fit the grill, food, table, and chairs all in one luxury vehicle with space to spare. Camping will never be a problem when you could probably pitch your tent in the car, and it would still fit. Finally, if your business needs you to do some essential rush delivers, you won’t need to invest in a pricy van, because the 2018 Chevrolet Suburban will not only have space for it, but the refined styling will alone make a stunning and professional impression for your company. In fact, when the 2018 Chevrolet Suburban is full of passengers, it is still able to offer almost 40 cubic feet of space. However, fold up the second and third rows, and drivers have a whopping 120+ cubic feet of cargo space to work with. Still, need to fit more passengers? Folding up only the third row of seating in this large SUV still gets you an impressive 76.7 cubic feet of space to store all of your belongings while the first two rows are occupied. Basically, the only thing that will limit the versatility of the 2018 Chevrolet Suburban is your imagination. Since its start in 1935, the Chevrolet Suburban has been the longest-running nameplate in the history of automobiles. In the beginning, it was known as the Carryall Suburban which was a truck-inspired wagon which only had 60 hp and cost $675. It was eventually taken by Chevrolet as one of the first recorded large fully enclosed cabin vehicles that in some ways inspired what would become the future of SUVs. The SUV never once faltered when it comes to gaining admiration and has produced excellence ever since. For 83 years and 11 generations, the Chevrolet Suburban has inspired the world and has proven time and again that it will never let down the drivers who love it. The current 2018 Chevrolet Suburban lives up to its name as a large, luxury, family-friendly SUV that still refuses to disappoint its longtime admirers. The beautiful symbolism of this long history is that the 2018 Suburban is a family vehicle that has lived for generations and will live for many generations to come. So, not only will the Chevrolet Suburban have been your great grandfather’s choice of SUV, it will be your great grandchildren’s as well. Chevrolet has a bold and respectable history that dates back to over a century of reliable engineering and dedication to the craft. With a car in every style and ability output, Chevrolet has shown its ability to give customers exactly what they require every year. This is how they inspire such loyalty from their fans. Nashville is the capital of Tennessee, the home of country music, and also the home of Carl Black Automotive Dealership of Nashville. At Carl Black Nashville we put the same humble, and heartfelt passion into our vehicles as those legendary singers at the Grand Ole Opry did with their country music. Whether you desire our services for a new or used vehicle, we will use every resource we have to get you approved and into the paramount vehicle for your lifestyle. 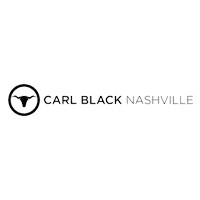 At Carl Black Nashville, we only care about building a community of satisfied customers by rewarding loyalty. If you’re interested in a large SUV like the 2018 Chevrolet Suburban or something similar, we are eager to discuss its impressive capabilities and get you on a test drive today!